You know what I love most about apple season? Caramel. Caramel goes with everything. So do apples, it turns out. They go especially well with blondes, toffee, and homemade caramel sauce. 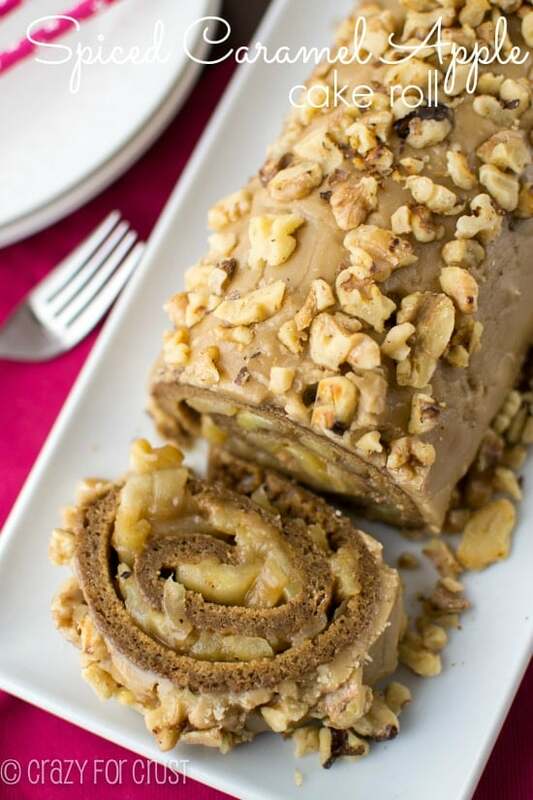 I’d say this recipe is fall baking #forthewin. So it’s September 1st. That means I can post all apple all pumpkin all caramel all the time until December, right? And then throw in some peppermint and gingerbread for good measure? I know actual fall isn’t until the 20th, but we’re in the right month, so that’s good enough for me. Speaking of – are you ready for candy corn yet? It’s out in the stores and I’m itching to bake with it. I was advised to wait until after Labor Day. I guess candy corn and wearing black have something in common. Anyway – caramel, apples, toffee, and blondes. Four things meant to be in a title together. Other name for this recipe: GET IN MY BELLY RIGHT NOW YO’. 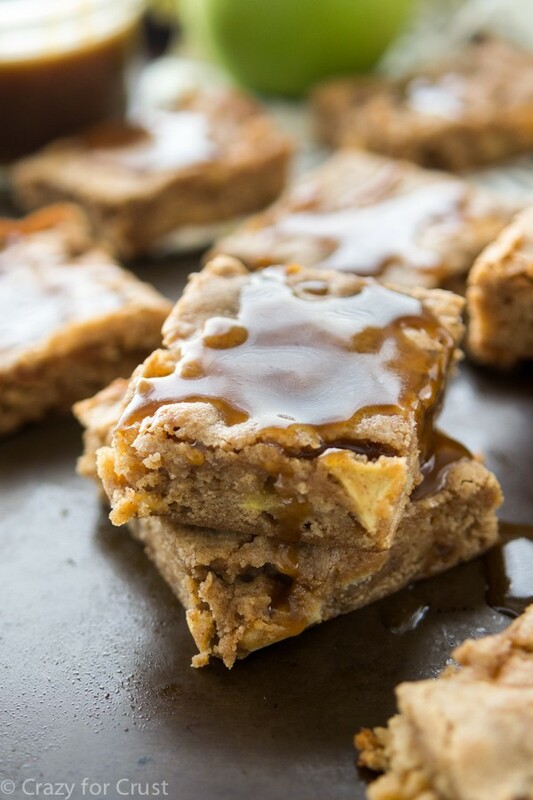 But that wasn’t very SEO friendly, so I stuck with Caramel Apple Toffee Blondies. This recipe is a re-do of one I made a long time ago. Actually, it’s not so much of a re-do as a total scrap and start over. But you get the idea. I love throwing apples into desserts other than pie. Last year I threw them into cheesecake bars, gooey bars, and cookies. The cookies gave me the idea for the toffee bits and the gooey bars gave me the idea for the caramel. Again – all good things that totally go together! These bars start off with my normal blondie base. It’s the same recipe I used for my toffee blondies, caramel crunch blondies, and loaded cookie bars (which are, in effect, blondies). This time, I added apples and toffee bits to the batter. You know what made the decision even better? Adding caramel sauce to the top. Homemade caramel sauce. Similar to my salted butterscotch sauce, this homemade caramel came together in minutes. Melted butter is cooked with brown sugar, then you add heavy whipping cream and vanilla. Be sure to try hard not to eat it direct from the pan. You’ll burn your mouth. Not that I did that or anything, but really. It’s hard to control yourself, but just try. 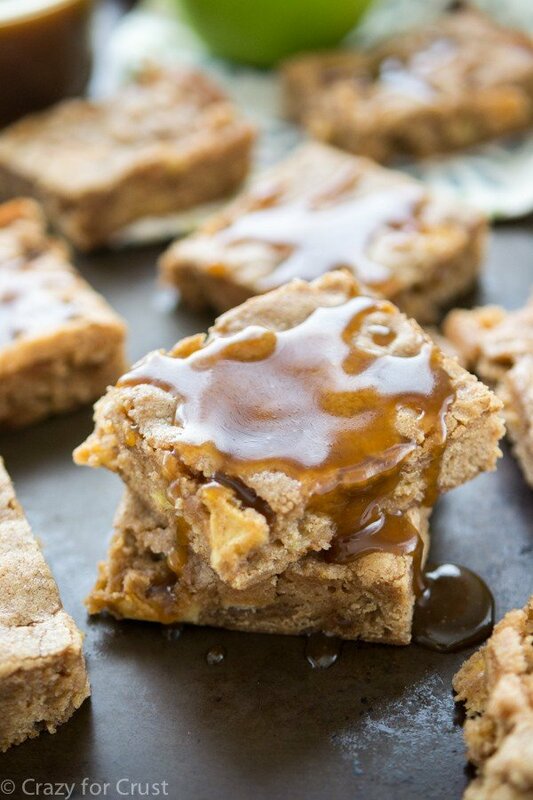 Once it cools, you can drizzle the caramel over the blondies before serving. 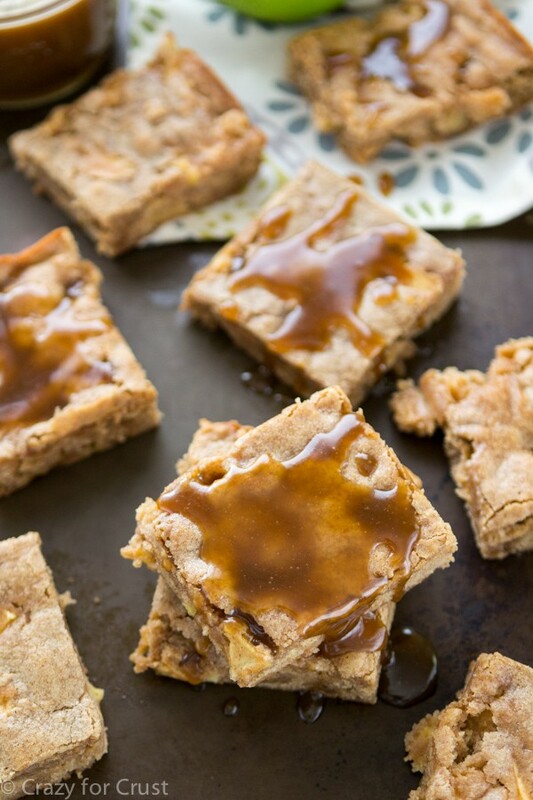 The apple toffee blondies are good. With caramel? They’re infinitely good. That’s a lot. 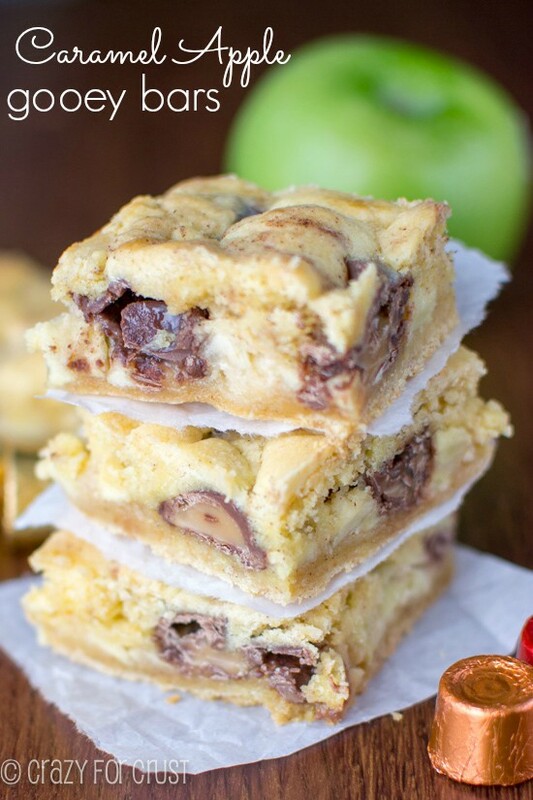 Adding apple and toffee bits to blondies makes them the perfect apple season dessert. When you drizzle homemade caramel sauce over the top it makes them irresistible! Preheat oven to 350°F. Line a 9x13” pan with foil and spray with cooking spray. 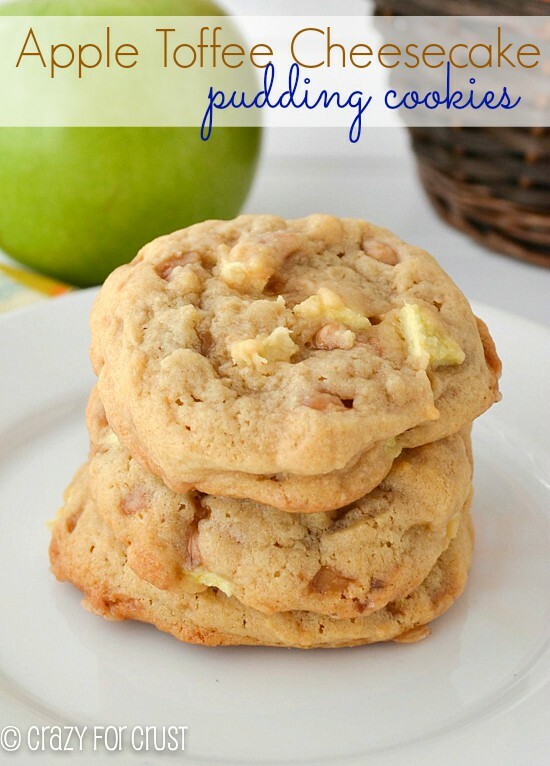 Mix in the apples and toffee bits. Press into prepared pan (dough is very wet and sticky, spray your hands with cooking spray to avoid it sticking to your hands). Bake for about 30-35 minutes, until the edges are golden brown and the center just loses the wet look. Cool bars completely before cutting. Make the caramel: melt butter in a medium saucepan. Add the brown sugar and stir until the mixture boils. Boil for 1 minute without stirring. Turn off the heat and stir in the vanilla and heavy cream. Transfer to a jar to cool. Serve bars with a generous drizzle of caramel. Store bars in a covered container for up to 3 days.